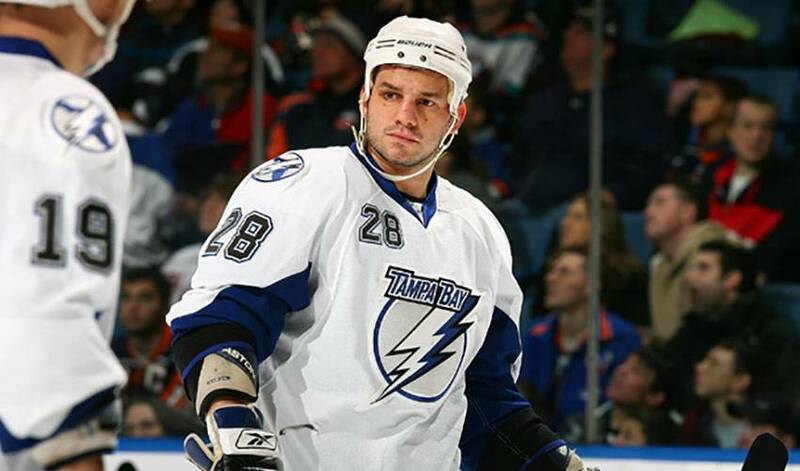 Zenon Konopka has earned a reputation among his Tampa Bay teammates as a man of action, someone who can be counted on to deliver when it matters most. He's also regarded in the same way when he's playing the game, too. When veteran forward Georges Laraque and the NHLPA recently teamed up to form Hockey for Haiti, a relief project aimed at raising funds to provide the earthquake-ravaged country with the ability to provide critical healthcare and medical care to the Haitian people, Konopka took action. After calling the NHLPA offices in Toronto to discuss what items members of the Lighting could donate to an online auction that features one-of-a-kind hockey memorabilia donated by the NHLPA, its members and other charitable individuals, Konopka gathered up his teammates to discuss how they could get involved. The end result was every member of the Lightning donating a signed stick for the auction, an initiative undertaken by a player in his first full NHL season. It's not only a sign of Konopka's comfort level with his teammates, but also a measure of how he is regarded by those he plays alongside. That would include Vincent Lecavalier, one of the game's most respected performers both on and off the ice. Konopka, who, after three minor league seasons with various teams in the ECHL and AHL, made his NHL debut in 2005–2006, playing 23 games for Anaheim, certainly brings that mentality to the rink every night, a blue-collar approach that has endeared him to the home crowd, his teammates and coaches. The simple fact he is playing in the NHL is a story in itself. A veteran of over 500 games in the minors, Konopka returned to the AHL in 2006-07. On January 26, 2007, he was traded by Anaheim along with Curtis Glencross and a draft pick to the Blue Jackets in exchange for forwards Mark Hartigan, Joe Motzko and a draft pick. Since that time, Konopka has played for Columbus' farm team in the AHL, the Syracuse Crunch, with occasional call-ups to the Blue Jackets. On July 10, 2008, he signed a two year contract with the Tampa Bay Lightning. His strong play in training camp landed him a spot on the roster for the 2009-10 season. While there have been several players that have helped Konopka since his arrival on the NHL scene, there are two in particular he points to as key mentors. Konopka continues to earn rave reviews for his work ethic, something he learned from one of the biggest influences in his life and career. Including an unselfish willingness to step up for others in need.